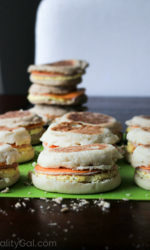 Out of all the make ahead breakfasts I’ve covered, these make-ahead breakfast sandwiches are definitely my favorite so far! 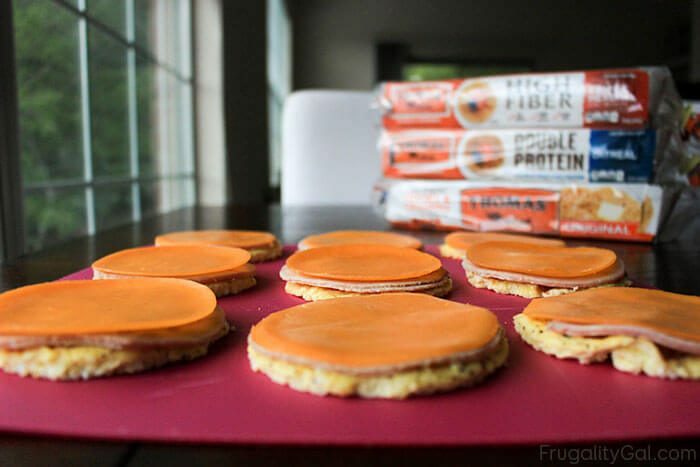 My go-to order at Dunkin Donuts is ham, egg and cheese on an english muffin, and this homemade version comes pretty close to my favorite drive-thru breakfast treat! Of course, they also resemble a very popular sandwich that rhymes with mcshmuffin. I went through a time last year where I’d make them every week (I showed that in my weekly meal prep post, they’ve evolved a bit since then). But I don’t make them as often as I’d like because they’re not the quickest of all the make-ahead breakfasts to make (that would hands down be the oatmeal packs!) … especially if you insist on rounding everything out like I do now that I’ve figured out the mason jar lid trick! I’ve adjusted the ingredients list to reflect that you’ll need 18 eggs instead of the dozen I used so you can make 18 sandwiches at once… I ran out of eggs at 13 sandwiches. 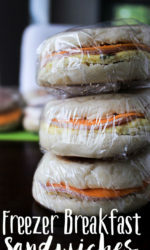 Freezer friendly, make ahead breakfast sandwiches made in an easy assembly line method! Scramble eggs and add in seasoning of your choice. I added a splash of milk, dried parsley, onion powder and salt and pepper. 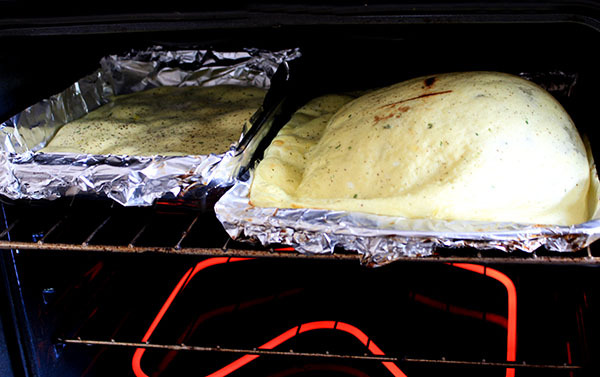 Pour into an aluminum foil lined baking pan. Easy clean up that way. I had to split mine into two pans. Bake for about 10-15 minutes, checking periodically. 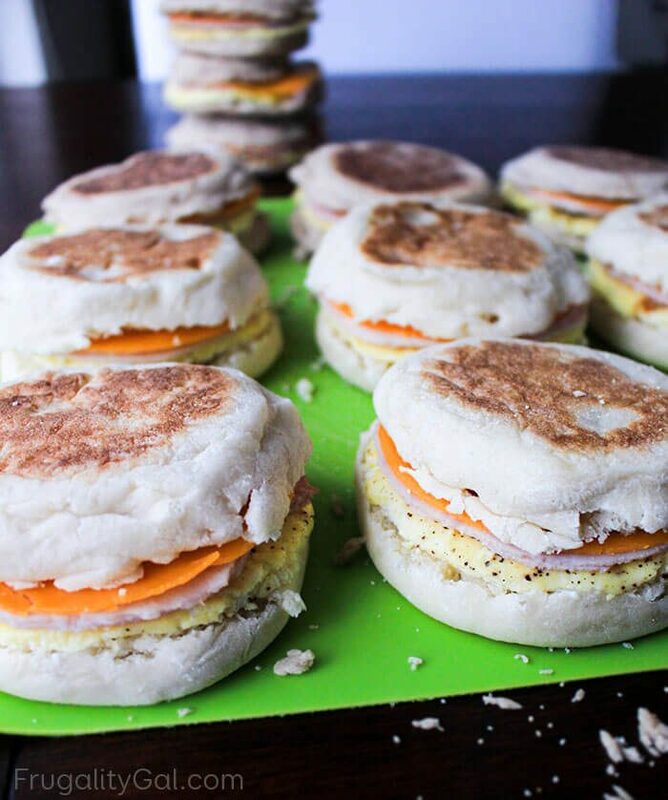 Let cool slightly and use a mason jar lid (or anything round and roughly the same size as muffin to cut into circles out of ham, cheese and egg so you have a uniform stack to place on your english muffin. Slice english muffin in half and stack egg, ham and cheese circles on each muffin. Close up and wrap in plastic wrap. If desired, place in freezer bag to add an extra layer of protection. To reheat, microwave for about 90 seconds, flipping halfway through. If you used plastic wrap, I like to take the plastic wrap off before microwaving. Let cool for about 1 minute. Savorandsavvy.com used to be Frugalitygal.com. All photos are owned by this site. 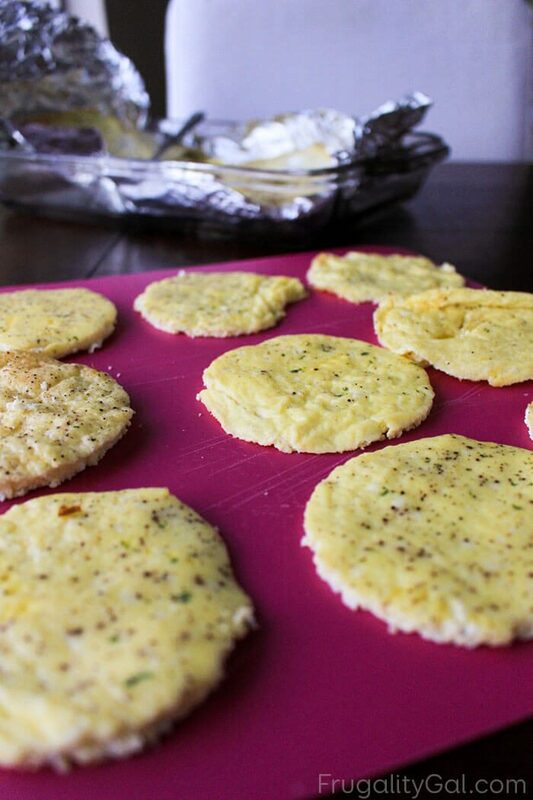 First preheat your oven to 375F and scramble your eggs, adding any seasonings of your choice. I added a splash of milk and a few shakes of onion powder, salt, pepper and parsley. Season to your liking! 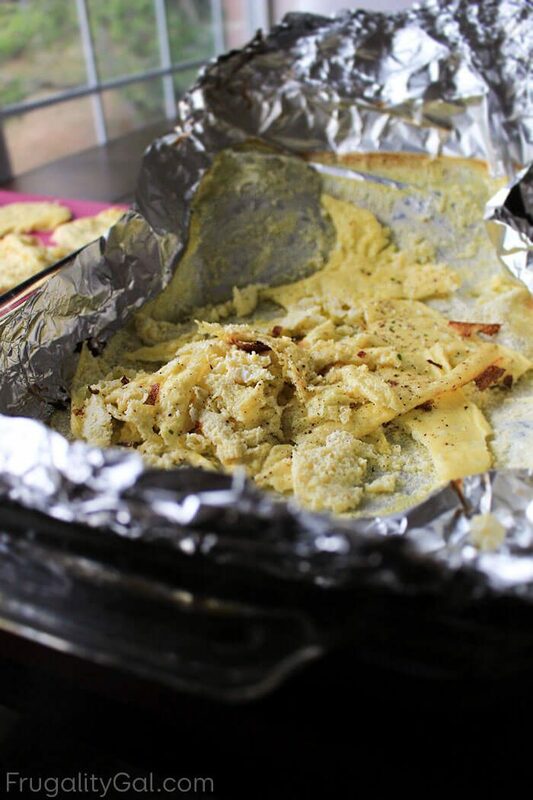 Line a baking sheet or two with aluminum foil so it’ll make clean up easier later. I didn’t do this myself, but learn from my mistakes… spray a little non-stick spray on the foil so you don’t have as hard a time as I did when lifting the egg from the foil once cooked. 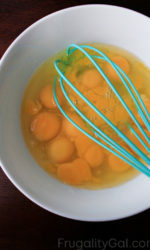 Pour eggs into the baking sheets or casserole dishes and bake for ten to 15 minutes. I don’t recommend spreading the eggs too thin because this is what will happen: it’ll balloon and you’ll have to prick them to deflate. 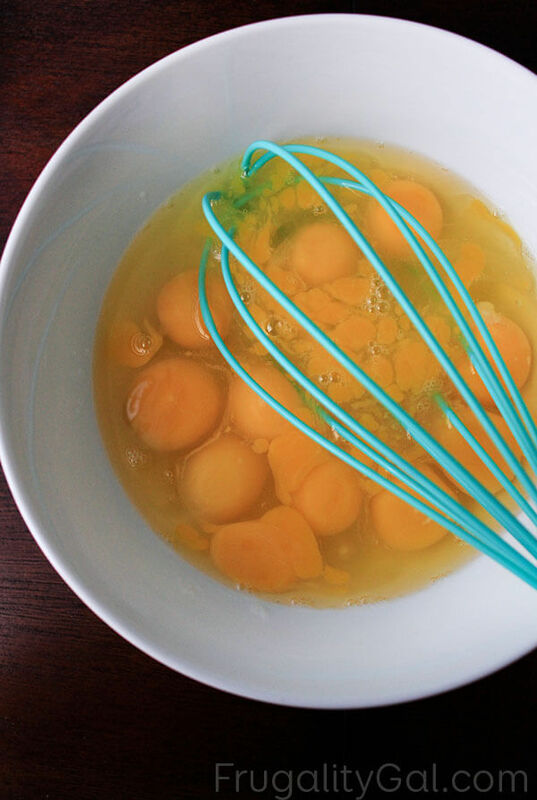 When the eggs are done baking, let them cool for a few minutes so you can handle them easily. Then we’ll get to assembling the sandwiches using a nifty little trick. 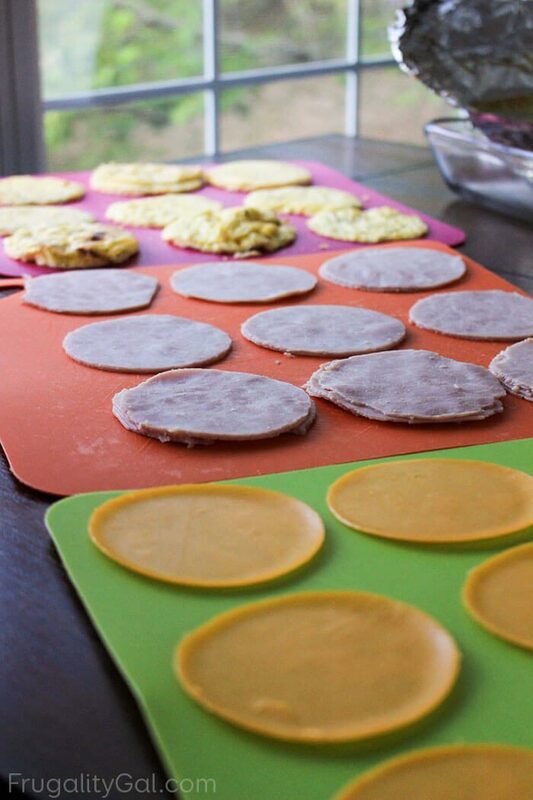 Use a large mason jar lid to cut circles from the ham, egg and cheese – it’s the PERFECT fit for an english muffin! If you don’t have a large mason jar lid, a large coffee mug should work well too! 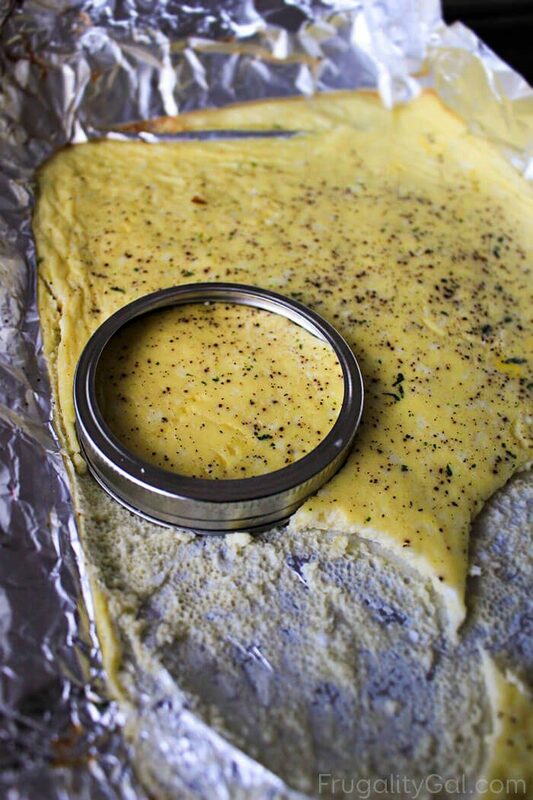 Use the mason jar lid to cut your eggs into circles. I recommend tackling the eggs first so you know how many sandwiches you can make before cutting into the ham or cheese. 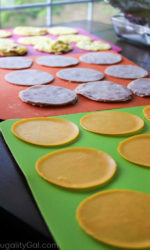 You’ll have leftovers after cutting into circles – don’t throw them away! I froze my leftovers to use in breakfast burritos. Now punch out the ham and cheese. I like to use one piece off egg and cheese, but use two to three pieces of ham per sandwich. 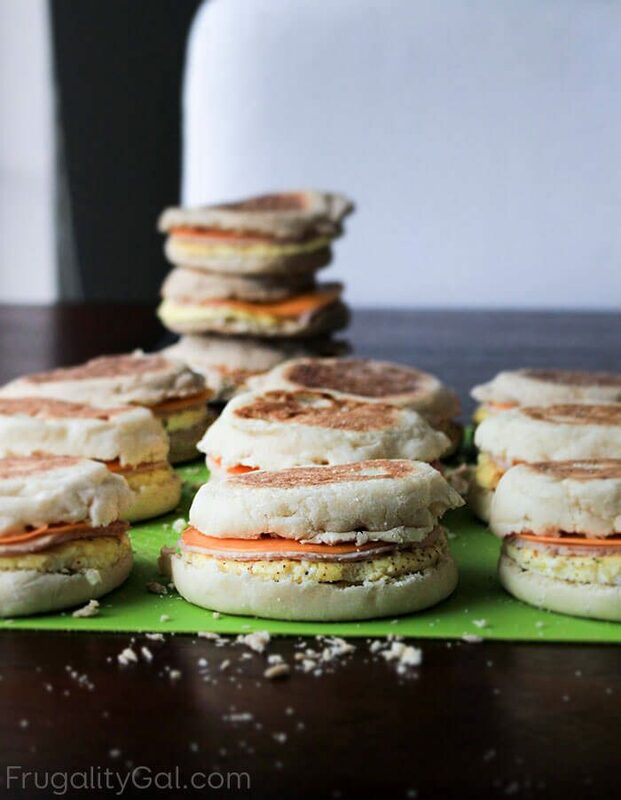 Stack your discs together and place them on your sliced english muffins. At this point you can add any sauces or condiments of choice if you don’t want the sandwiches to be too dry. I added a bit of mayo and ketchup. Ranch is also a great option! Now all that’s left is wrapping them in plastic wrap or foil and placing in a freezer bag if you want to take an extra step for good measure. I store our breakfast sandwiches in the english muffin containers they were packaged in and they sit in the freezer door. 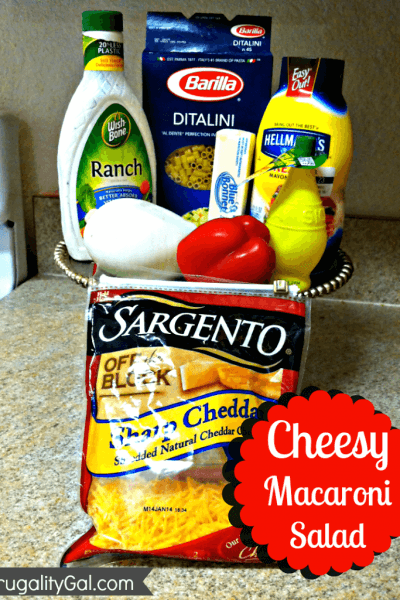 Super easy to grab and go! The breakfast sandwiches never last us more than a week because we eat them for breakfast each morning and lunch when we’re busy. But they should keep well for a couple of weeks in the freezer. I haven’t tried freezing them longterm. If you’re concerned, go by the expiration date on the most perishable item. Heat in the microwave for about 90 seconds, flipping halfway through. If you used plastic wrap, you can keep the plastic wrap on while reheating. Let cool for a minute or two before taking a bite of your tasty breakfast! 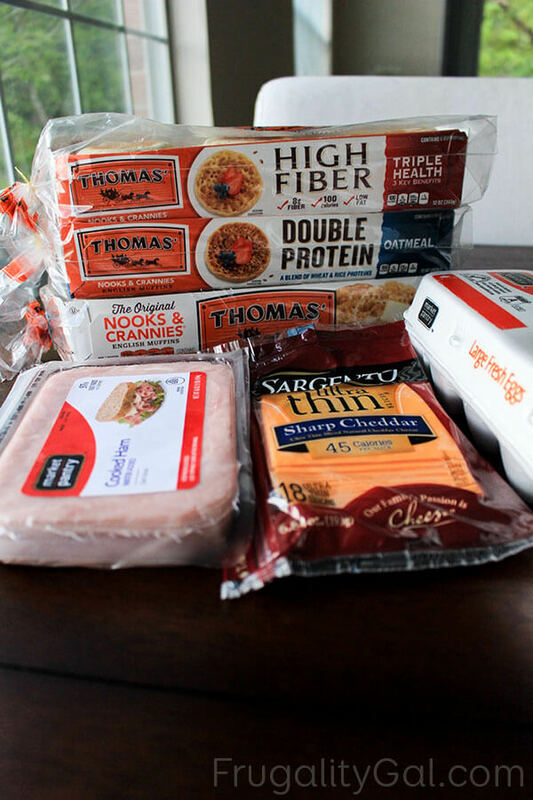 Have you ever made your own homemade freezer breakfast sandwiches before? If so, what are your favorite fixings? I went pretty traditional here with just using ham, egg and cheese. But I bet there are some more inventive flavor combos to try! When I would make these freezer sandwiches I always toasted the English muffins I would lightly toast them and also butter lightly. We would also make these with breakfasts sausage patties. 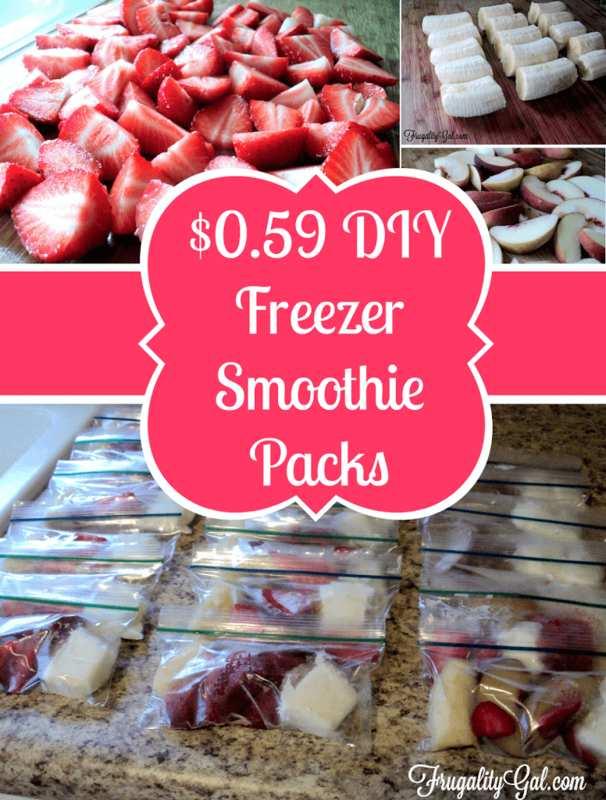 They are a great time saver and you know your family is getting a good breakfast. Good ideas! I’ll definitely try them with sausage patties next time! My favorite would be bacon, egg and cheese, but I think Canadian bacon would also work well. I think the brand I sometimes buy is about the size of an english muffin. 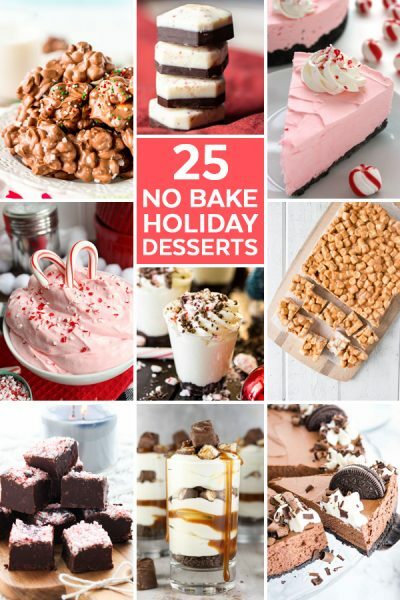 I love this recipe and tips! 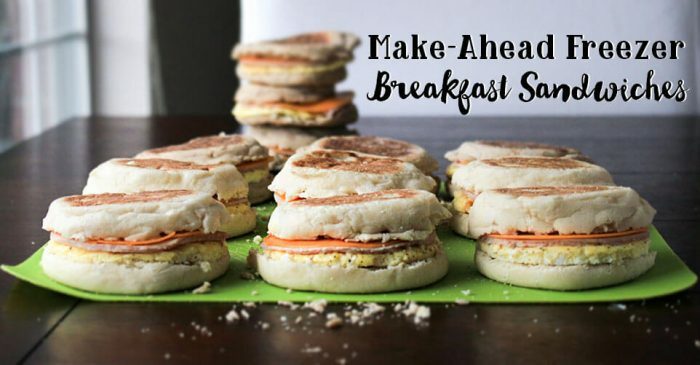 I love breakfast sandwiches on english muffins, so this is perfect for me. Thanks! I used bacon, eggs, and cheddar. I toasted my English muffins and lightly buttered them (the thought of warm mayo kinda grosses me out, haha). We had a couple for today’s breakfast with some roasted potatoes, and I assembled the rest to freeze. These will be a lifesaver for my mid-week mornings when I’d rather not cook a hot meal every morning before rushing out the door. I’m looking froward to other variations (sausage patties, other types of cheese, etc.) next time. This is a fabulous idea! We don’t have a microwave in our house, how would you go about reheating these in the oven? I’m not totally sure since I only heat them up in the microwave. I’d do it at a low temperature for a few minutes and watch it closely. We don’t have a microwave either, so I plan on wrapping mine in aluminum foil and popping them in the toaster oven–my go-to warming device for everything! A pannini press or waffle iron or Foreman Grill…all would work. Haven’t done these as make-ahead items before, but I have one of those microwave egg poachers, so I often do them as I’m getting ready for work. I can cook the egg and sausage patties (or slices of Canadian bacon) at the same time in my little cooker, and let them go while the english muffin is in the toaster. Slap it all together, give it a couple more seconds to melt the cheese, and away I go. Is it possible to use egg whites only? I used smoke turkey breast from the deli for my sandwich, since I don’t eat pork. It is very good. Susan, that is great! 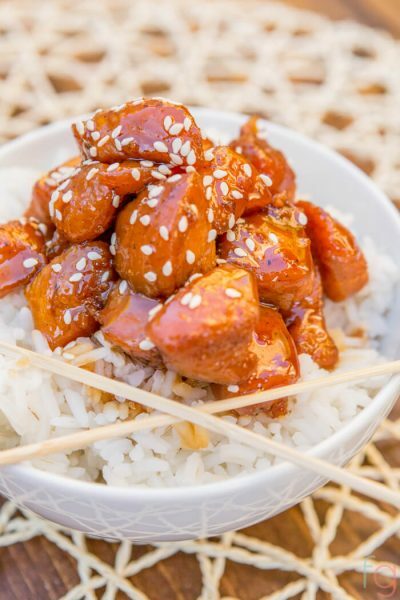 This recipe lends itself to whatever you like!! Love flexibility!! How long are they good for in the freezer? Is 2 weeks too much?